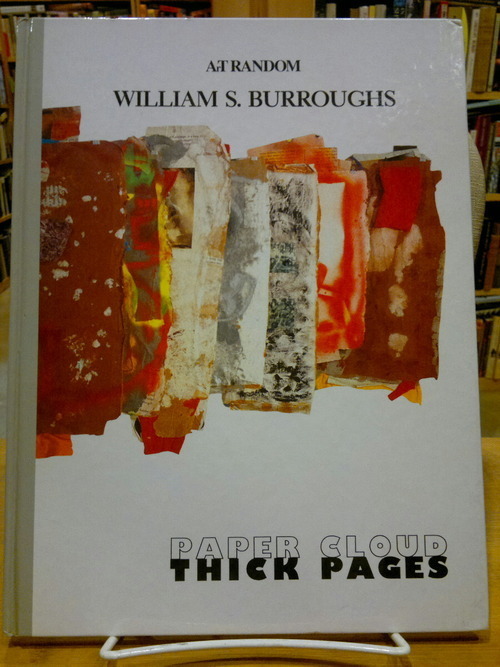 Explorer of the other senses that he was, we’ll start the list of our Burroughsiana collection with Burroughs in some of his many other forms. 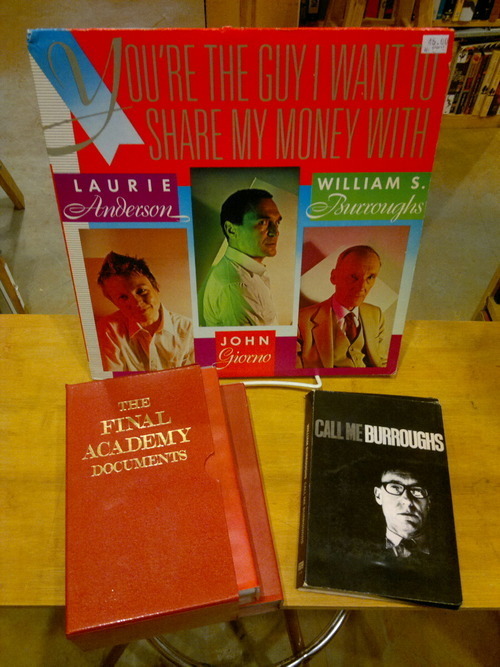 You know Naked Lunch, you know The Wild Boys and Junkie, and we have all kinds of first editions or rare versions or pulp paperbacks that we’ll get to soon. But do you know Burroughs’s more colorful side? Or what he sounds like? Or how trippy his experimental films are? Or that he made films and records with a variety of collaborators? How about that Burroughs used a shotgun to make art? 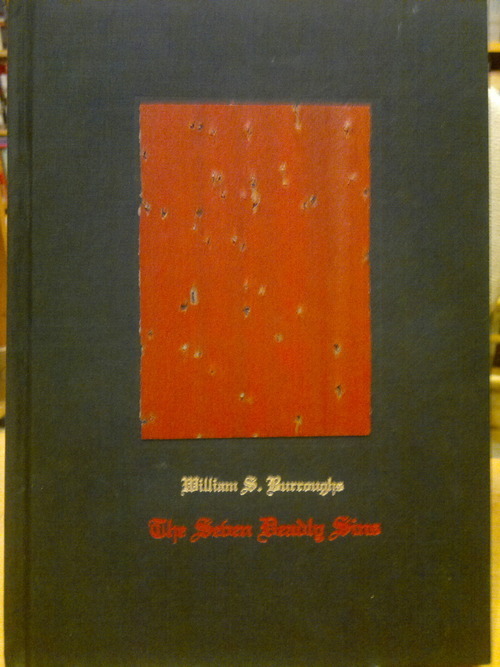 This rare book, The Seven Deadly Sins, collects images and text made by Burroughs in the early ’90s. The foundation of most of the images are blocks of wood that Burroughs blasted with his signature 12-guage, then painted and silk-screened. 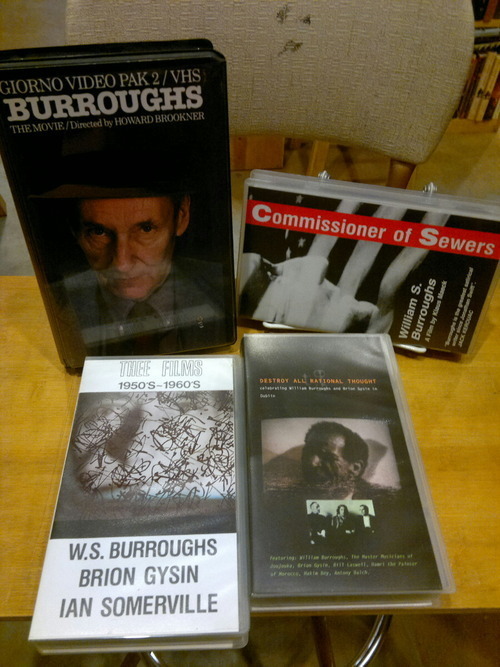 Also pictured here: The Final Academy Documents, a collection of Burroughs’s experimental films plus some footage from a reading with John Giorno playing accompaniment at Factory Recrod’s Hacienda Club in Manchester; and Call Me Burroughs, a straight-up, no-frills collection of Burroughs reading from some of his most well-known works.